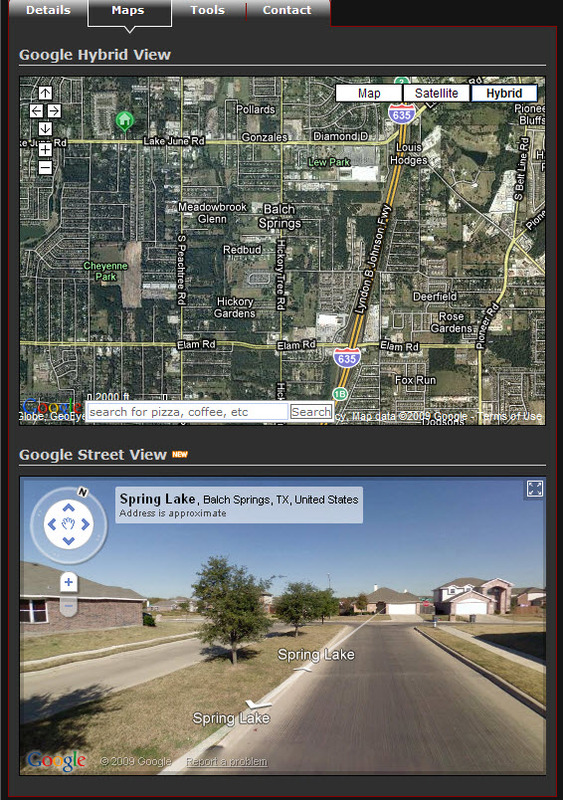 Balch Springs Real Estate interactive map search including Google Street View MLS map search, Sold Data Map Search, Aerial, Satellite, Bird's Eye, and Terrain view. 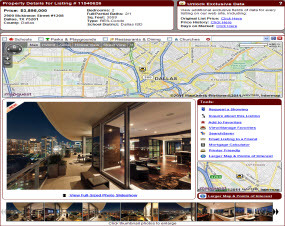 Set up a customized Balch Springs Real Estate search and receive new Dallas property listings that match your search criteria, 1st day on Market! Balch Springs Real Estate in located 16 miles southeast of Downtown Dallas. Balch Springs, with a population around 20,000, borders Mesquite and offers an array of housing options including homes, new homes, farm, ranch, and apartments. Our Balch Springs real estate agents specialize in residential and commercial real estate including homes, new homes, apartments, retail, commercial, farm, ranch, land, lots, acreage, industrial, restaurants, and warehouse. If you are thinking of buying, selling, or renting real estate in Balch Springs, contact one of our Balch Springs Realtors today. Search Balch Springs Real Estate in our MLS database and view detail reports, tax reports, virtual tours, pictures, maps, and request property showings from one of our Balch Springs Realtors. Buy and Sell Balch Springs real estate and receive a discount when you sell your home in Balch Springs. Ask one of our Realtors about special Balch Springs home rebates, discounts, and incentives. Be sure and check out the latest Balch Springs Home Bank Foreclosures and Short Sale Listings. Search Balch Springs Apartments in our rental Database and view property details, floor plans, pricing, incentives, move in specials and request personal tours. Receive up to $500.00 Cash Rebate on select Balch Springs Apartments use of Free Balch Springs apartment locating service and refer one of our Balch Springs Apartment Locators. If you find a better deal on an apartment in Balch Springs from another locating agency, we'll match it and pay you an extra $50.00. Are you searching for a home for rent in Balch Springs with a yard or within a specific zip code or school district? 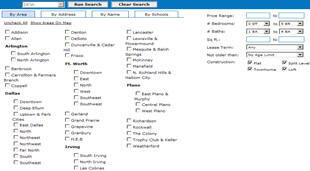 We offer a Home Rental Database to search Balch Springs Homes for rent by individual owners.